Our existing assortment of exceptional engagement rings may be perfect for anyone, but perhaps you were looking for something more unique that was a custom jewelry designs. Allow us to bring your visions and dreams to life with our custom jewelry designs. Our Master Jewelers can create every single detail you want in your custom designed ring. Creating a custom ring is like creating a masterpiece of art from your thoughts and personal style. It’s your ring, so why not build it to your specifications? Creating a custom design with Diamonds by Raymond Lee revolves around you. You’ll start with a consultation with our exceptional design experts, discuss your vision, create a few sketches and watch production roll. There is no custom design too big or too small for us. Before we create your dream ring, there are a few crucial steps we take to ensure your vision comes to life better than you ever imagined. 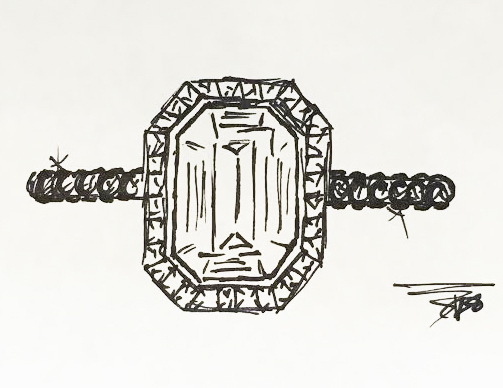 Start your custom designed ring by creating a sketch on your own, or have one of our design experts sketch out your vision. You can share inspiration from magazines, Pinterest, Facebook, or even our own collection of engagement rings. The sketch is the first step in your creation and the easiest because you can easily remove or add details until you’re satisfied. Once we’ve finalized your vision, it’s time to talk about materials – stones, metal, sizing and dimensions – the building blocks of your dream ring. At this step in the process we can create a realistic quote for you based on cost of materials – and creating a custom ring is not just for those on an unlimited budget. We’re committed to staying within your dedicated budget while using only the highest quality materials. Upon approval of your quote, ask for a deposit for your sketch to be transformed into a Computer Aided Design (CAD) rendering. This helps our Master Jewelers see exact dimensions as to where each stone will be placed during production. You can make as many changes to your CAD rendering as possible until the design matches your vision perfectly. 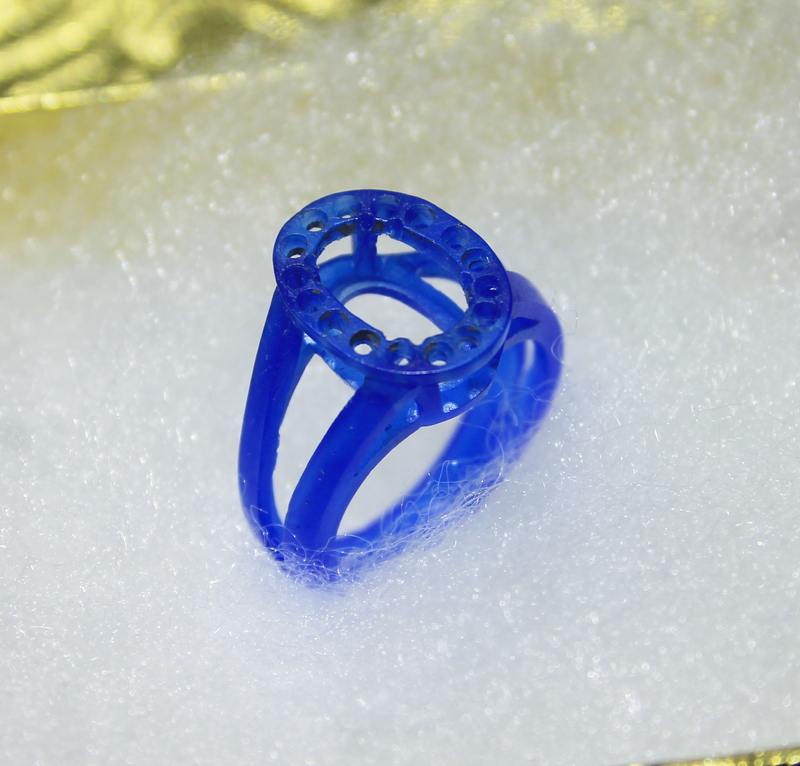 After the CAD rendering is completed, looked over thoroughly and signed off by you, the next step is to create a live wax mold of your custom designed ring. This 3D wax is hand carved by our in-house Master Jewelers at Diamonds by Raymond Lee and is the most important step in the customization of your ring. During this stage, you will see exact placement of where each stone will be set, and all necessary adjustments can be fixed during this final stage before cast. Now, your ring is now receiving its final touches including a complete quality control inspection by not only our Master Jeweler, but your design expert, and our exceptional diamond advisers to ensure all stones are set correctly, prongs are nice and tight, polish is complete, and of course that your vision matches the ring. The overall time frame from thought to final masterpiece ranges from 2-6 weeks depending upon the intricacy of your design and total payment. Your custom designed ring is now complete, and the last step is for it to be placed upon your finger with a smile on your face, maybe even a tear of joy! 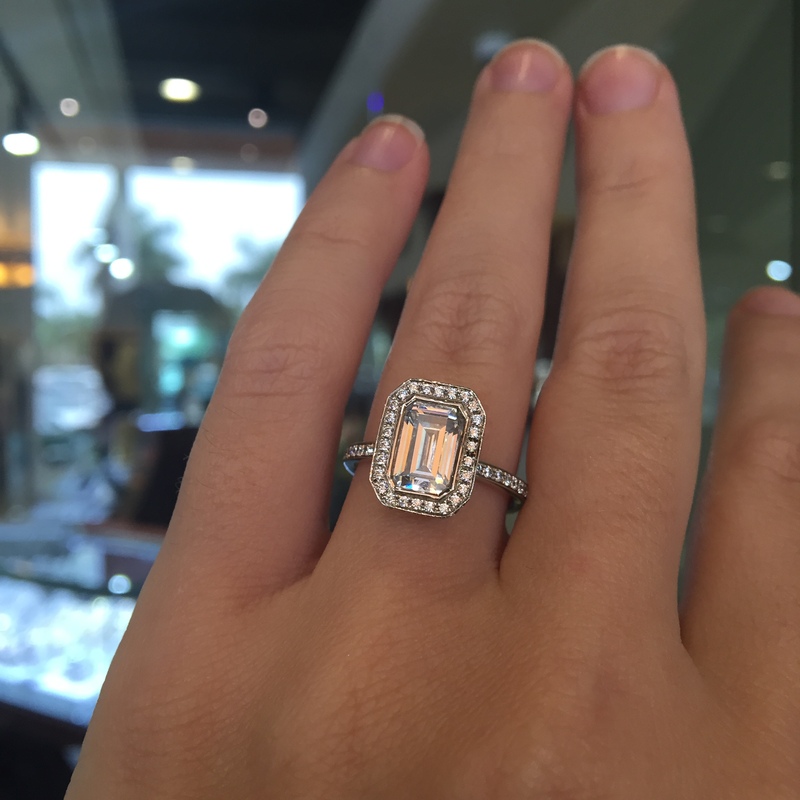 For more information on our custom design engagement rings and jewelry please visit our showroom or contact our design experts at (561) 623-8205.